TheHognosesnake.co.uk- Hognose information, facts, photos, forum and more. 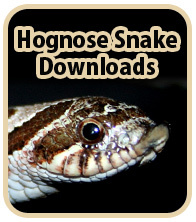 On The Hognose Snake.co.uk you can find information on keeping Hognose Snakes. The Hognose Snake.co.uk is a website built with Hognose Snake keepers in mind, with the aim of helping both Hognose Snake enthusiasts and beginners who are thinking about keeping a Hognose Snake as a pet. We have an extensive care sheet, which is divided into clearly defined sections, so that the information you are looking for is easy to find. We also have a photos page, with many Hognose Snake photographs for you to enjoy and appreciate. The Hognose Snake Forum is a place where you can chat about and discuss your Hognose Snake with other Forum members. 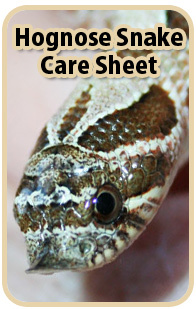 It's a good place to look for help if you have any questions regarding your snake and it's general care. We have many regular members who will eagerly offer advice and you can also post photos, links and more. THE Hognose SNAKE.co.uk is a non-profit website which has no annoying popup's. TheHognoseSnake.co.uk is part of TheReptilian.co.uk group, a network of reptile and amphibian related websites giving care information on a host of exotic pets. To scare off predators the hognose snake has a cobra-like hood. They are very huffy and puffy snakes who will pretend to be more vicious than they really are, by opening their hood, hissing and striking the threat with a closed mouth. Hognose snakes are especially famous for playing dead when threatened. This is usually after the above display has failed to ward off the thing that is making them anxious, so they play dead to avoid being eaten. This works because there are few creatures in the world that will actually eat carrion. Hognose snakes are great actors and will play dead with great authenticity. They lay on their backs with their mouths open and will even give off a foul smell to make their deception more believable. Another interesting fact about the hognose snake's defensive habits is that once the Hognose snake is playing dead, if you turn it over onto it's front it will instantaneously flip back onto it's back to keep up the charade. If you would like to send your Hognose Snake photographs for us to add to the Hognose Snake Photos page please email your best pictures to photos@theHognosesnake.co.uk along with your name and your snakes name.